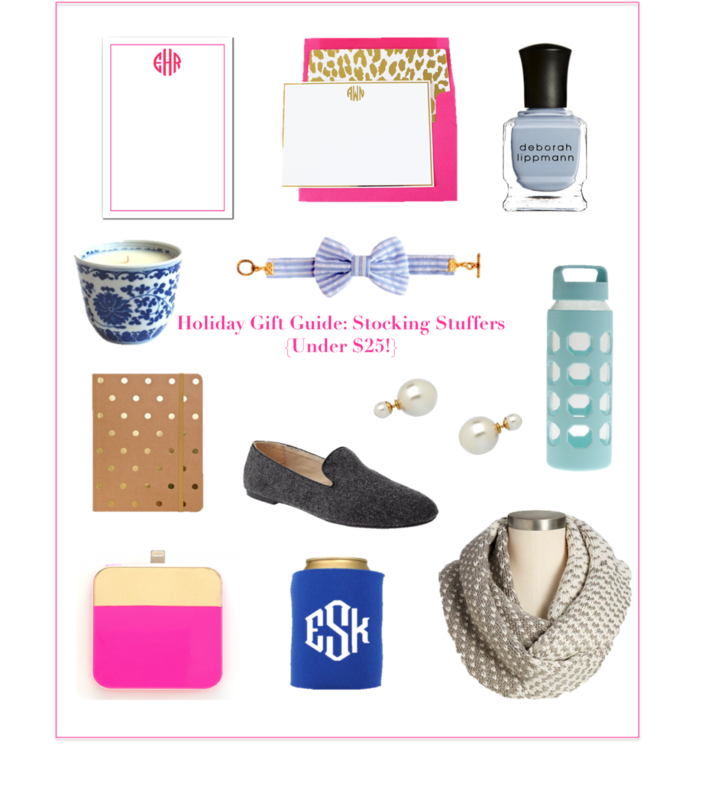 I am so thrilled to start day one of my Holiday Gift Guides, so today I decided to kick it off with Stocking Stuffers Under $25! Whether you're actually putting these items in a stocking or need a small gift for friends or family, look no further. Above are 12 of my favorite products under $25 (except for one, oops!) that are perfect to stock up on for the holiday season. Need a hostess gift? The leopard stationery is perfect. A present for your fashionista friend? The gray loafers will do the trick. I have a few other gift guides up my sleeve but let me know if there are any in particular you want to see! Also, be sure to check out the Holiday Shopping tab at the top of the page as well as my Stylish Finds on the right sidebar, as I will frequently update these with my favorite pieces!